By our calculations, there are over 250 companies exhibiting, from big brands to small upstarts and plenty in between. Among those are Electra. Freshly acquired by Trek, Electra is now very much on the look out to expand its UK retailer network. 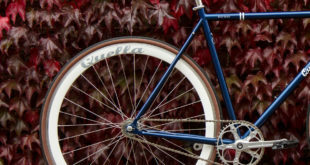 Stores interesting in carrying the California-based lifestyle brand are being invited to pop over to the stand at the NEC to see the bikes and accessories close at hand as well as enquire about becoming part of the Electra network. The extensive line-up includes Townie, Amsterdam, cruisers, and kids bikes. For those unable to attend the Cycle Show, and who would like to enquire about becoming an Electra retailer, please contact Electra sales support on 01908 360 160. Cycle Show is aiming to cater for as wide a cycling audience as possible, with Quest88 hosting the Inclusive Cycling Hub once again. Among their new models will be the Draisin Slider, a three-wheel semi-recumbent cycle designed for people with impaired balance or movement. The tricycle is designed to be as comfortable as possible, providing support and ease-of-use for those looking to maintain an active lifestyle. Prices from £3,300 (Excl. VAT*) *VAT may not apply. The Bianchi Oltre XR2 Team edition will be on display, kitted out with Shimano Dura Ace Di2 electronic components and the all carbon C50 wheelset. This special order costs £12,000. Campagnolo is bringing its new Chorus EPS groupset and the Bora clincher wheels. Pinarello’s Dogma F8 will take pride of place, while Yellow is also planning to bring the Neor, Razha, Marvel, Rokh, a Prince (possibly), Dogma 65.1, Treviso, Dogma XM, Dogma XC and Bolide. Rapha Condor JLT team’s Condor Leggero promises to be stiff enough for optimal pedalling efficiency, yet smooth and compliant for comfort on those long days in the saddle. At the show you’ll be able to see the new BB30 bottom bracket system that has been introduced to the Leggero frameset, which complements hollow chamber technology used by both Shimano and Campagnolo. The oversized shaft and oversized industrial bearings produce a lighter, stiffer, more efficient ride, we hear, while the BB30 allows for great room for riders’ feet – a crucial factor in the production of acceleration and power. Wattbike will have its ambassador Joanna Rowsell at the stand on the Saturday, doing a training demonstration and a live Q&A on stage. Shok Box is a new start up company offering a bikebox brand sporting a hard case and soft bag, both with a lifetime warranty. The Cycle Show will be the Nottinghamshire company’s UK launch, where they’ll also be displaying a specially-made transparent case manufactured from kavler (the same material used in Riot shields) but built to the same specifications as their regular premium hard case. They’re keen to use reactions at the show to gauge whether to put it into a full production, which could happen within weeks, we’re told. Live frame building and bike fitting is also going to be happening throughout the weekend, hosted by The Bicycle Academy and Prestige Cycles. And that’s not all, Body Geometry’s ‘Fit professors’ are going to be doing three live Fit demonstrations a day, and there’ll be saddle and shoe fitting at the stand. Brand new bikes like the Storck MTB Adrenic model and the Marin Attack Trail and Rift Zone 29er C-XC9s will feature too, as will the Garmin Vector S and Shimano’s XTR Di2. We’ll have more previews and teasers as the show nears, but to see the full exhibitor list click here.